Born and raised in the North West of England, Nicola packed her life into a single suitcase in the summer of 2000 and moved to Vancouver to continue her Ph.D. in Medicinal Chemistry. Despite stepping away from science for a couple of years to pursue a career with the Emergency Services, she never lost her passion for science particularly when pertaining to the human body. Her first experience with massage therapy was for a bicycle-related whiplash injury in 2007. Her RMT introduced her to a whole new way of looking at the human body, and within days she noticed her condition was much improved. Fascinated, from that day on Nicola believed massage therapy was something she would love to practice and set herself that goal. She graduated in December of 2012 from the 3000 hour Registered Massage Therapy program at Vancouver College of Massage Therapy in Vancouver, BC with 5 consecutive terms on the Dean’s List amongst her list of achievements. 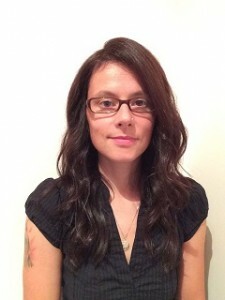 Depending on each client’s needs, Nicola believes that the manipulation of connective tissue (such as muscles and bones) helps alleviate a diverse range of conditions from neurological, orthopedic, systemic and stress-related through the creation of balance within the human body. She is dedicated to seeing her clients become educated, through self-awareness, on the appropriate lifestyle changes that will help prevent future recurrence of injuries and pain. Forever looking to expand her knowledge, Nicola is excited at future opportunities to pursue further education particularly in the areas of myofascial manipulation, proprioceptive neuromuscular facilitative stretching, ligamentous articular strain techniques and joint mobilizations, of which she has already successfully undertaken and completed several courses.